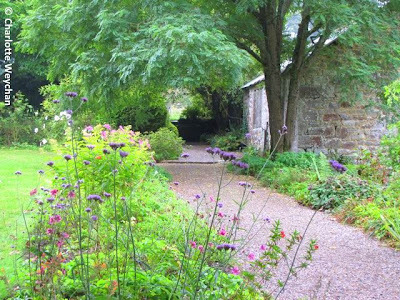 You won't be able to see these gardens in a day because they're spread out from Britain's Cornish toe to Scotland; but all are memorable, and each one has a story to tell. 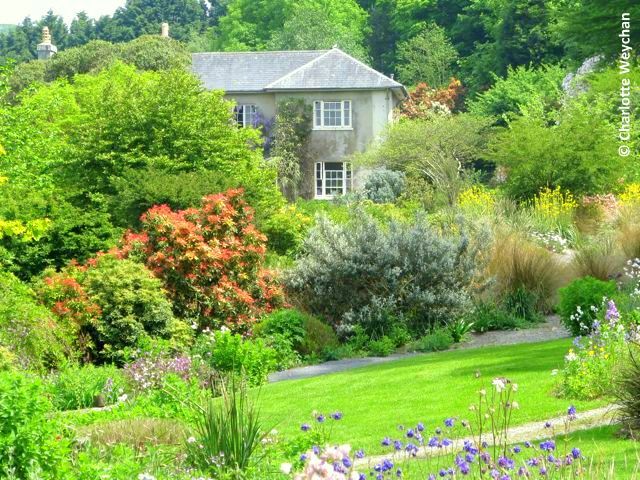 The Garden House in Devon will always be one of my favourites with its magnificent planting, glorious views and sense of secrecy. This is a garden you can visit many times and still feel you're breaking new ground each time you return. There are many areas under development, and it's constant, changing seasonal highlights will enthral you - this is a garden that looks just as good in spring as it does in autumn. 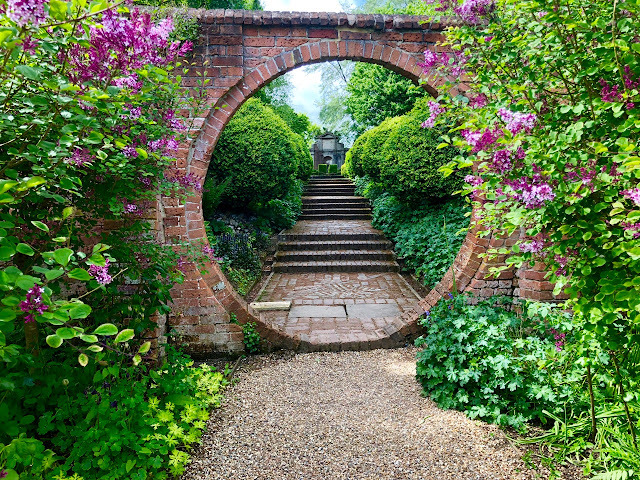 Godinton House in Kent with its wonderful vistas and gardens designed by Reginald Blomfield - an architect who loved gardens and wrote "The Formal Garden in Britain" - he also designed the gardens at Athelhampton. 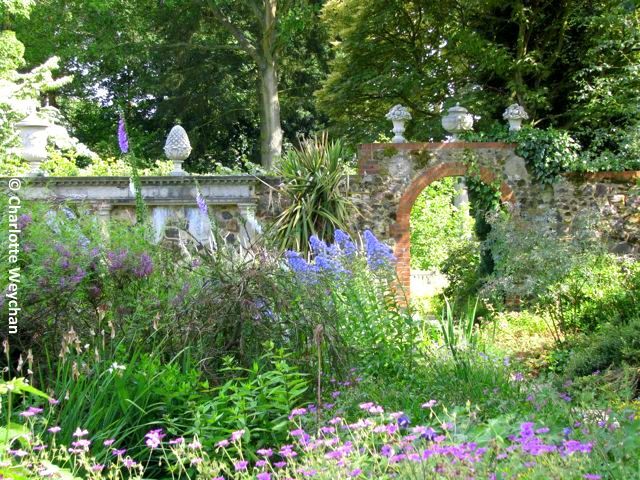 There's a charming Italian garden and roses to die for, plus a walled garden that houses the national collection of delphiniums - a real sight to behold when they are in full bloom. And another real plus point about this garden is that you don't get coach loads of visitors! 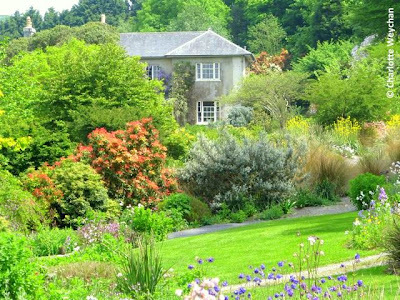 Godolphin in Cornwall is one to watch for the future - there's not much of a garden here at the moment, although there was a formal garden here in the 14th century. 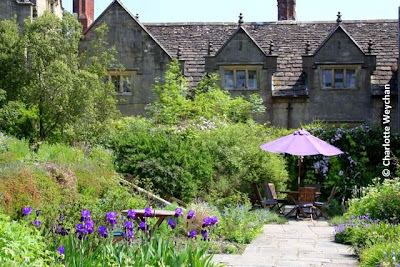 Both house and garden are being renovated and if you're really keen you can take a "Hard Hat" tour around the house - which means that you don a builder's bonnet and wander round the site with an enthusiastic guide who tells you the history of the property. It wasn't for me I'm afraid because I was more interested in seeing the gardens, which promise to rise from the fire like a phoenix one day in future. You can stop en route to Glendurgan if you're in the area and see how work is progressing. Gravetye Manor was home to garden designer, William Robinson, but has been an exclusive hotel for many years now. Currently under new management, and with new head gardener Tom Coward, recently arrived from Great Dixter now in charge, this will be another garden to watch as he puts his stamp on it. This is a property to visit in spring time when the alliums are in flower - they make a stunning display! Worth stopping here for lunch on the way to other gardens in the vicinity. 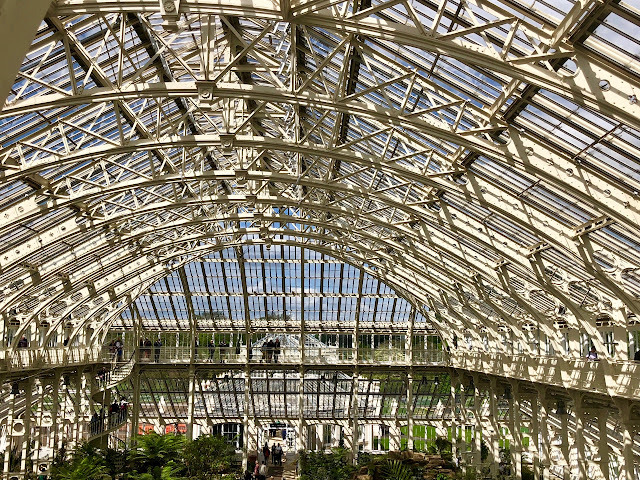 The gardens are glorious and you can visit even if you're not staying at the hotel. Great Comp in Kent is a living breathing garden, lovingly created by owners Roderick and Jane Cameron during the latter half of the 20th century and now preserved for the nation as a charitable trust. This is an unusual garden with many personal touches like the decorative stone walls recreated from all the ironstone rubble found by the owners as they cleared the land to make the garden what it is today. There are more than 3,000 different plants here, giving seasonal interest throughout the year. Definitely one to put on your Wish List if you haven't visited before! 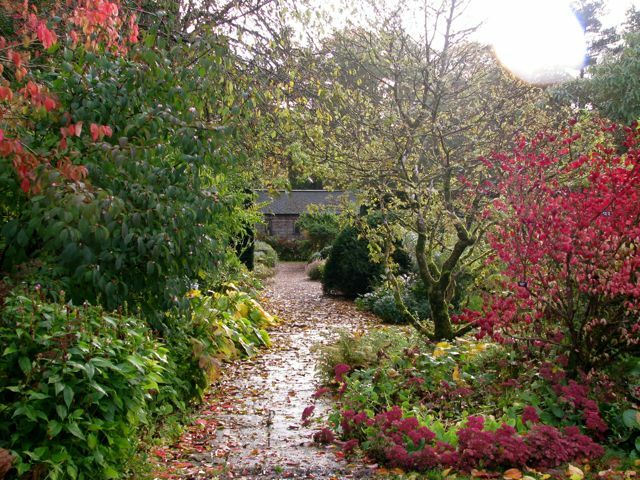 Greenbank Gardens near Glasgow (above) will always remain in my mind because of the stunning autumn colours I saw when I visited a couple of years back. This is a wonderful walled garden, filled with a series of garden rooms, and great for inspiration for your own plot at home because the plant and colour combinations are very unusual. I haven't visited in the spring, which I am told is wonderful, but as ne of many fine gardens in the area, it's worth making a trip to Scotland to enjoy them all - you won't be disappointed! This makes me miss England. That's a beautiful set of gardens - thanks for sharing them! You know, I just realized this is an alphabetical ordering. I'm an idiot. G is for gorgeous. Greenbank has a natural appeal that I like. Love the path and the garden room design you spoke of. These gardens are magnificent! My small French garden is very "ridiculous" in comparison but he already allows me to dream and it is more important! Haven't been here for a little while, I LOVE your photo in the header. Wonderful contrast of colors. The first photo with the Rose Campion is great, I would like to line my driveway with a lovely stand of Rose Campion...all the dark pink ones. 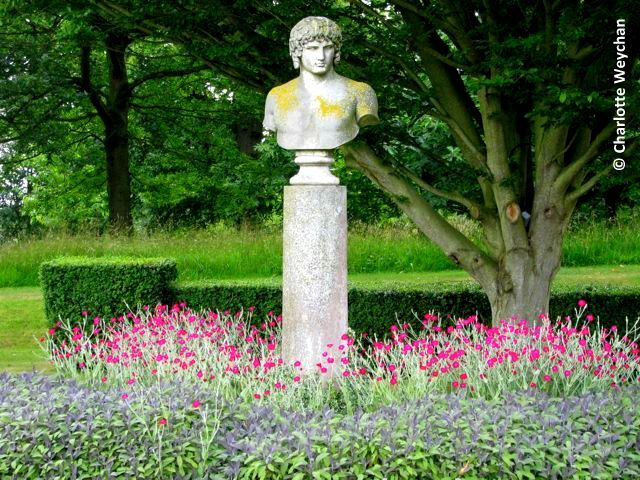 Wow...I'm totally jealous of you getting to visit those amazing gardens!